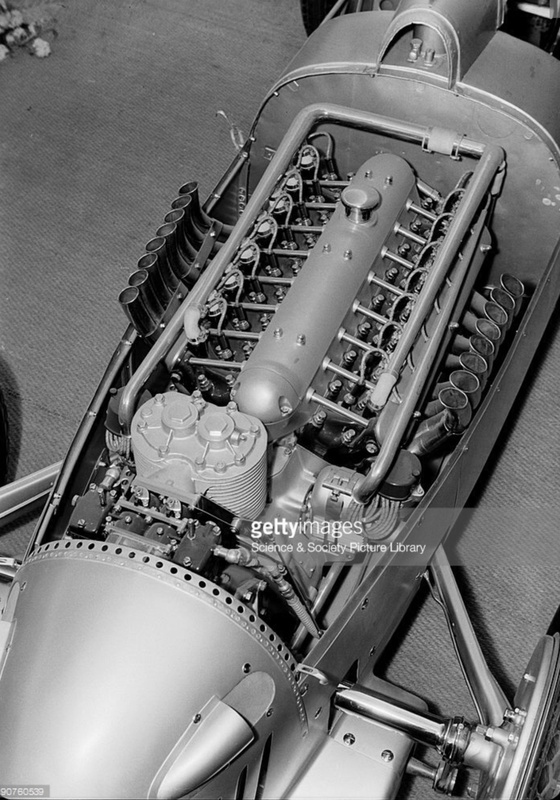 Note the onboard air-jacks, pretty schmick for 1935, I didn’t realise the technology went back that far, I wonder when they were first used in racing? It’s a nice shot also of the swing axle rear suspension, sprung by torsion bars in 1935 rather than the transverse leaf spring of the 1934 Type A.
Varzi was 3rd in his 4.9 litre V16 beastie, the race won by Luigi Fagioli’s Mercedes Benz W25. 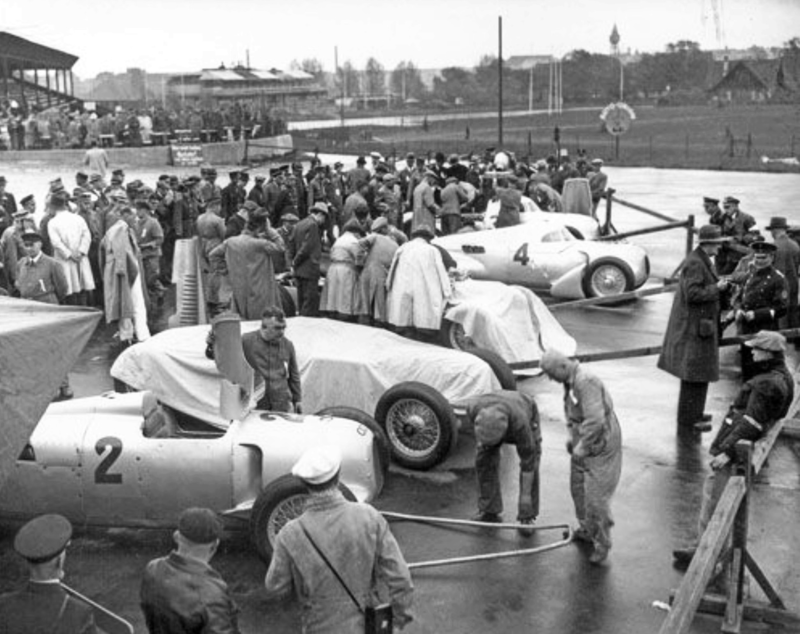 The race was a Formula Libre event so the German teams turned up with some streamliners including a Mercedes W25 for Hanns Geier, the cockpit cover of which could only be opened from the outside. 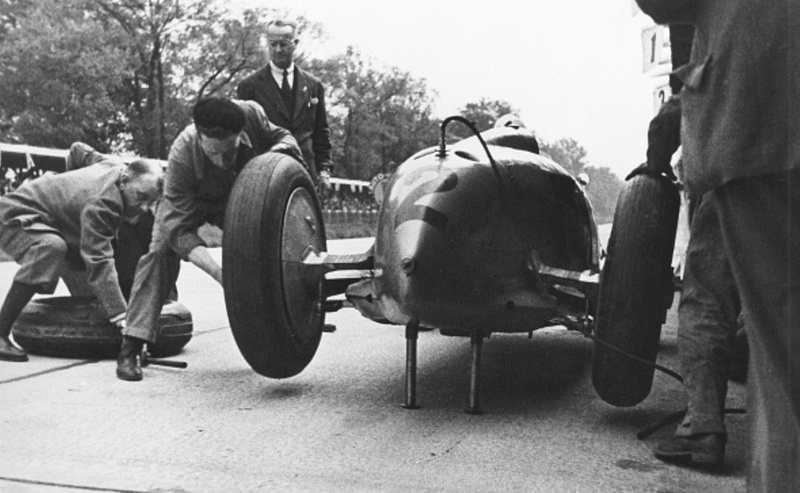 No doubt Alfred Neubauer was happy to oblige at each pitstop. 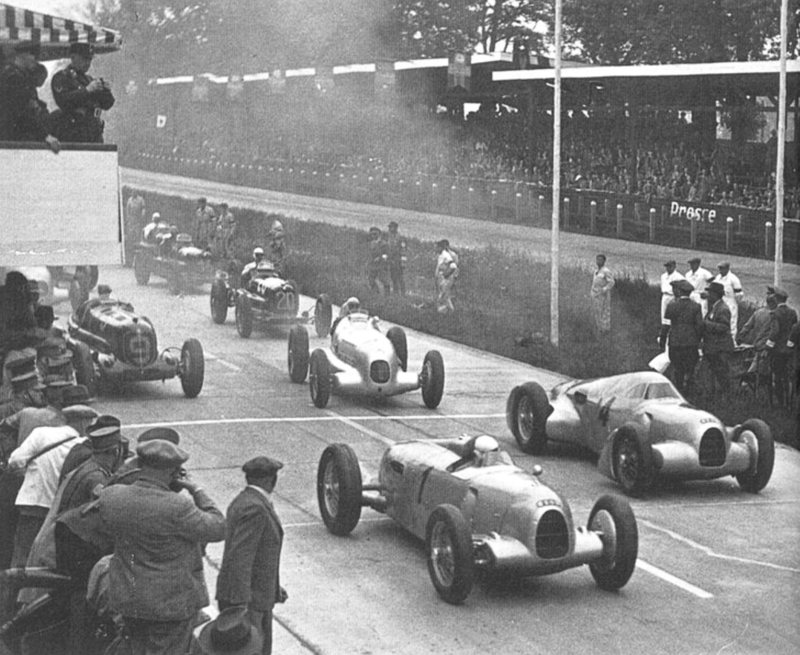 Continuing the themes of commonsense and bravery!, the meeting was also notable for the first ever car race of German ‘bike ace Bernd Rosemeyer. He ‘blagged his way’ into the Auto Union team for whom he raced from then until his untimely death in early 1938 during a brave land speed record Auto Union run. Read anything about this fella and the word brave will be peppered throughout the article.